TestaEdge Cream for Men is synergist formula that includes highly potent ingredients Tribulus Terrestris, DHEA, Horny Goat Weed, Macuna Prurien and DIM for Men's Wellness. 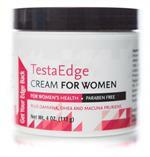 TestaEdge Cream for Women is a synergist formula that includes high potent ingredients Damiana, DHEA, Horny Goat Weed, Macuna Pruriens and DIM for Women's Wellness. 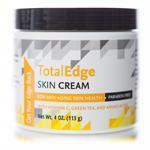 Total Edge Skin Cream helps restore skin elasticity, smoothes the appearance of wrinkles and fine lines, tightens and tones skin and help with overall anti-aging skin health. TestaEdge Cream for Men is Synergist formula that includes high potent ingredients Tribulus Terrestris,DHEA,Horny Goat Weed,Macuna Pruriens and DIM for Men's Wellness. Specially formulated with and Herbal Extract blend. Convenient pump application. Absorbs quickly and non-greasy. Specially formulated. Convenient pump application. Absorbs quickly and non-greasy. Algos Soothing Cream helps with temporary relief of minor aches and pains of joints and muscles. Algos Soothing Cream has been formulated with Arnica, Bromelain and MSM. 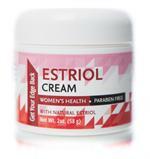 Estriol Cream is specially formulated for Women's Health to maintain a natural healthy balance. 100% money back guarantee on all products! © 2006-2019, Libido Edge Labs, LLC All Rights Reserved.